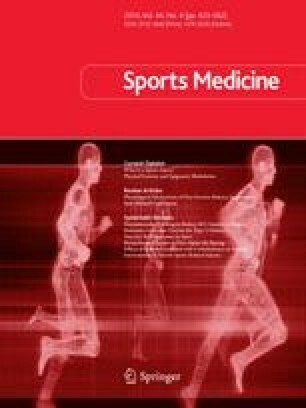 The optimal physical preparation of elite soccer (association football) players has become an indispensable part of the professional game, especially due to the increased physical demands of match-play. The monitoring of players’ work rate profiles during competition is now feasible through computer-aided motion analysis. Traditional methods of motion analysis were extremely labour intensive and were largely restricted to university-based research projects. Recent technological developments have meant that sophisticated systems, capable of quickly recording and processing the data of all players’ physical contributions throughout an entire match, are now being used in elite club environments. In recognition of the important role that motion analysis now plays as a tool for measuring the physical performance of soccer players, this review critically appraises various motion analysis methods currently employed in elite soccer and explores research conducted using these methods. This review therefore aims to increase the awareness of both practitioners and researchers of the various motion analysis systems available, and identify practical implications of the established body of knowledge, while highlighting areas that require further exploration. The authors have received no funding for the preparation of this article. The authors have no conflicts of interest that are directly relevant to the content of this review except that Christopher Carling and Lee Nelson have previously participated in the development of the AMISCO Pro match analysis system and Jonathan Bloomfield was previously employed by Prozone Group Limited.